The cost of a budget attorney or self-representation in a criminal case will far exceed the cost of hiring a great defense attorney. Every person is constitutionally entitled to the help of an attorney from the initiation of a criminal investigation through the trial and even in the appeal process. If you think about it, what else are you constitutionally entitled to have? Not much. This is a recognition from the founders of the United States that the only way the criminal justice system works fairly is if every person, wealthy to less fortunate, is represented by competent counsel. Despite the constitutional recognition of the importance of a Michigan criminal defense lawyer, many people may feel that they can proceed on their own or that a lawyer “makes them look guilty.” The criminal justice system is complex and there are a vast array of thousands of court rules, rules of evidence and legal precedent that can be used to help you through the process or, if you are not aware of the rules, cause your case to take a tragic turn for the worst. Police, prosecutors, judges and other government officials do not have your best interests at heart. A good defense attorney’s sole duty is to zealously, passionately and fearlessly represent you and secure the best potential outcome. Walking in court with a great lawyer puts prosecutors and judges on notice that the defendant is serious about his case, that he will not be taken advantage of, and that he is not going to settle for anything less than an extraordinary resolution to the case…maybe even a dismissal. Even a decent criminal defense attorney will force the prosecutor and judge to follow the rules. When an unrepresented defendant comes into court, prosecutors and judges frequently take advantage of the situation, fail to advise the defendant of rules and laws that can be helpful, and sentence the defendant to unnecessary and inappropriate fines, costs, probation conditions and even jail or prison. 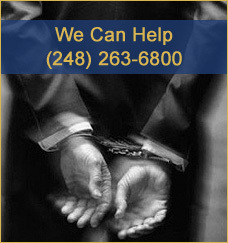 Most people really do not know all the ways the best Michigan criminal defense attorneys can help their clients. Although there are some cases where the best possible resolution may be a decreased sentence or plea bargain to a lower charge, this is generally the minimum way the lawyer can impact a case. Whether a defendant is charged with a first offense or is a habitual felon, a top defense attorney who is highly experienced and successful can have a huge, life-altering impact on a case. What about the cost of an attorney? The better question is “what about the cost of not having an attorney?” A criminal conviction, jail or prison sentence and onerous probation conditions can have a tragic, long-term, negative impact on a person’s life, employement, family and more. These costs can last many years, if not a lifetime and will undoubtedly surpass the cost of a lawyer. Hiring a great defense attorney is never within someone’s planned budget and it is not a pleasant expense. On the other hand, the long term costs of probation, jail, prison, extradition, deportation (in the case of a non-US citizen), criminal conviction, etc… will far and away exceed the cost of a great criminal defense attorney. 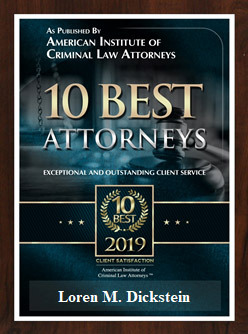 Do yourself a favor if you are charged with a crime or if you are being investigated for a criminal offense and contact a top rated criminal defense attorney immediately. 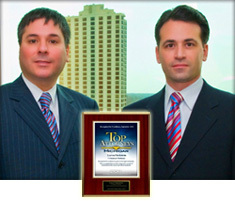 If you would like to speak personally to a lawyer now, please call LEWIS & DICKSTEIN, P.L.L.C. 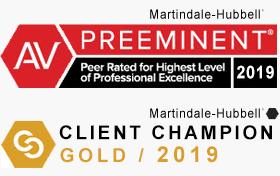 at (248) 263-6800 or fill out a Request for Assistance Form and a seriously experienced, expert criminal defense attorney will promptly contact you.